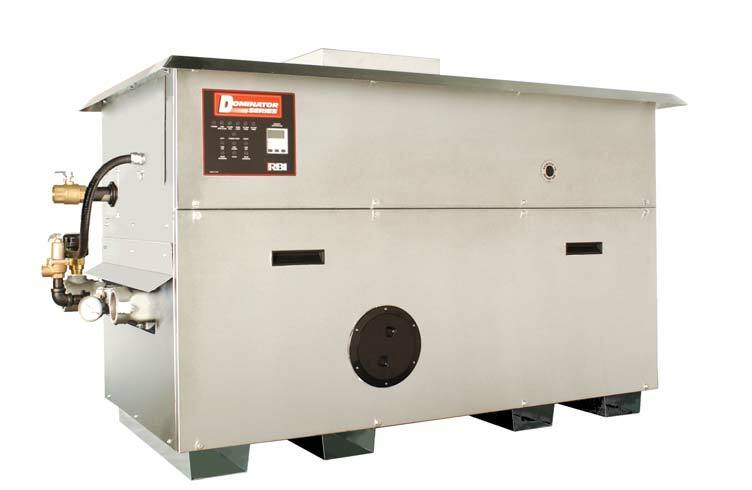 The DominatorTM Series from RBI offers superior performance and serviceability in a high efficiency, multi-stage boiler. At the heart of the unit is a sealed combustion chamber that provides the flexibility of using outside air or mechanical room air for combustion. The chamber design, with fan-assist, multi-speed blowers and state-of-the-art staging control, offers high efficiency staged firing in a compact package and virtually eliminates heat loss. The Dominator incorporates all the latest technological advances that engineers, contractors, and building owners look for when specifying boilers and water heaters.